We are a full service design firm with a large showroom in Dunn, NC. We can help you plan and implement your project whether big or small from start to finish. At Tranquil Designs we take pride in providing premium service at an affordable price. We always maintain the highest standards of customer service and satisfaction. We take pride in designing, building and installing storage solutions that work to make life easier for today’s busy families. You have nothing to lose other than chaos and clutter, so call today! The Kitchen & Bath Showroom is a cabinetry dealer selling four cabinetry lines, as well as countertops, tile, decorative hardware, and furniture-style vanities and islands. 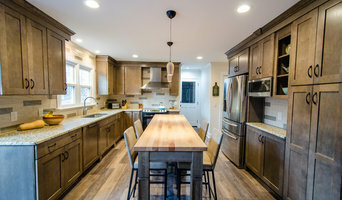 We are your Raleigh, NC Kitchen and Bath design and build firm working with our own contractors and other local contractors, free lance designers, and builders in the area. Our family owned and operated business is home to a variety of talented woodworkers and craftsmen. We cater to both residential and commercial clients, and we are dedicated to making your space look spectacular. Kitchen & Bath Galleries is a full service kitchen and bath showroom, offering design, product, and installation. Come visit us and browse our vignettes, or give us a call to schedule a consultation! We specialize in residential design services as well as offer a wide variety of home decor to match any design style. Call any time to schedule a consult or stop in and browse our selections! We've helped over 1,000 homeowners create the kitchen and bath they love to live in Exceptional space planning & organization. Quality products, detailed craftsmanship done faster. When it’s time to upgrade or renovate your kitchen, or remodel your bathroom, it’s important to work with an experienced home improvement & renovation company that will turn your vision into reality. LuxeMark Company is a reputable, solid company built on a foundation of one-on-one customer service. We provide cabinetry, countertops, striking designs and installation services to the Triangle area. 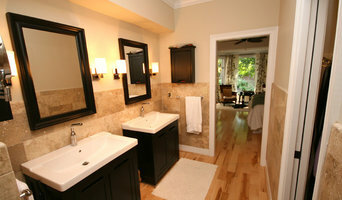 Home Upgrades, LLC specializes in transforming existing spaces into beautiful, new living spaces. A clean, well managed project is a top priority for us. 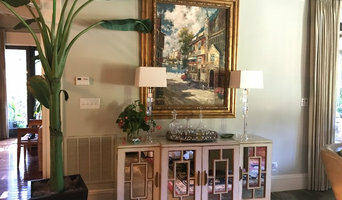 Raleigh, Cary, APEX Closet & Home Storage Designer Best of Houzz 3x! Our work is "detail perfection" that begins with your need for a better organized closet, pantry, garage, home office, murphy bed, custom cabinets, entertainments centers and more. Cabinets and cupboards are crucial organizational components of any kitchen or bathroom. Yet, for such an essential element, homeowners often compromise on their cabinetry, settling for cabinets that neither complement their style or meet their needs. Custom cabinetmakers in Raleigh, NC has the transformative power to create a practical yet personalized space unique to you by creating custom cabinets that have all the storage elements you need as well as the stylistic ones. Custom cabinets have the benefit of being designed specifically for you in terms of both appearance and usability. When it comes to stock cabinetry, you are limited to generic, cookie-cutter designs, dimensions and colors, which isn’t ideal for outfitting a uniquely shaped kitchen or for showcasing your personal style. Custom cabinets are solely crafted based on your specifications and needs, and while they are pricier than pre-made pieces, you’ll receive a higher level of craftsmanship and durability when you work with a professional on Houzz who specializes in custom cabinets in Raleigh, NC. 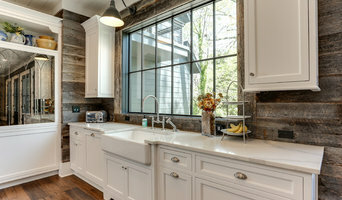 Create an ideabook on Houzz and save examples of the custom cabinets you want — this will help your Raleigh custom cabinetmaker get on board with your vision and make your design a reality. Additionally, if you are undergoing a remodel, keep in mind that a blueprint needs to be finalized prior to any kind of cabinet building and installing; given the one-of-a-kind nature of a custom cabinet, room dimensions need to be completely finalized before any work can commence.